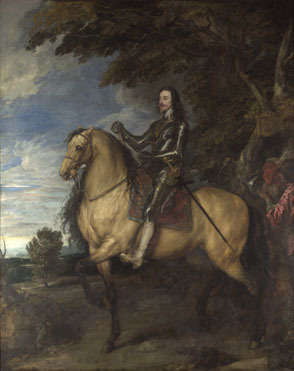 The subject of this work is King Charles I of England pictured on one of his countryside hunts. Charles was an avid art fan and during his reign he asked various artists, especially those promoting the Counter-Reformation, to come and carry out work for him. His love of art was actually the reason he accumulated various debts. Anthony van Dyck was Charles' favourite painter and settled at his Court after 1630. 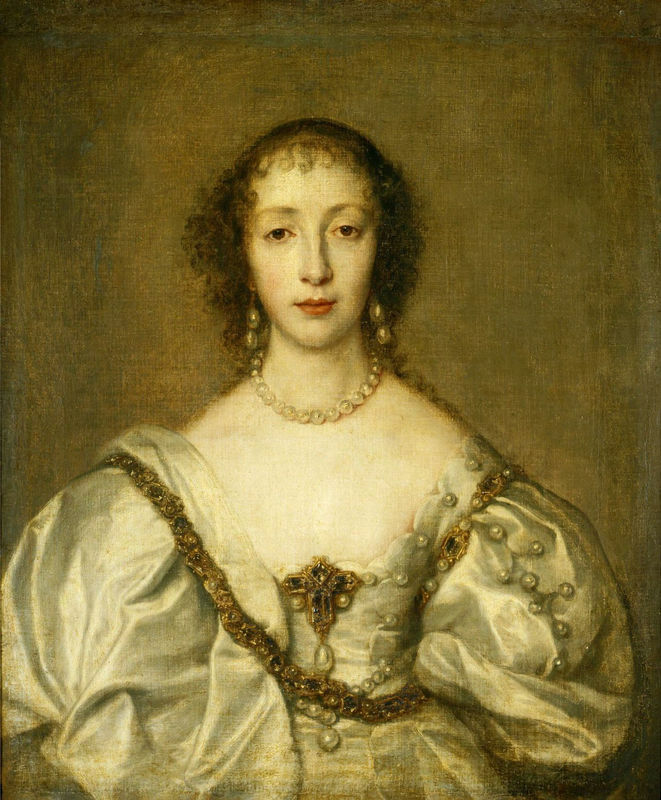 Charles married a Catholic French princess named Henrietta Maria of France who was the daughter of Marie de Medici. Parliament opposed to the marriage, believing it would open up the possibility of Catholic rule in England once again but Charles was used to fighting his cause and married anyway. He and Henrietta had nine children together but sadly only six survived. Under Charles' rule several civil wars broke out across England between the Scots and the English. Charles tried to impose his Royalist ideals as a solution. The Eleven Year Tyranny also took place under his rule and he was unable to negotiate peace between England, France and Spain. He even imposed various taxes upon his people to suffice for his huge debts. In the end, Charles was convicted and tried at court and lost as he refused to ask for a plea. He remained adamant that his actions should not have been questioned as he was the sovereign ruler by the decree of God. He was eventually beheaded on 30 January 1649 and kindly requested to wear two shirts to protect him from the English chill and not to show his followers that he had goose bumps as it was considered a sign of weakness. 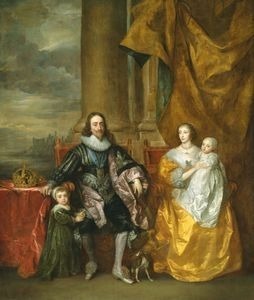 Charles I at the Hunt is one of van Dyck's most famous paintings and it demonstrates his ability to create a natural air about the sitter, using the method of iconography. Charles is pictured content within his kingdom and is seen dismounted from his steed. The image shows a new side to the King's personality and he looks at the viewer as if he was just interrupted from looking out at the view of the river Thames. Charles rests one hand upon a cane and the other on his side. 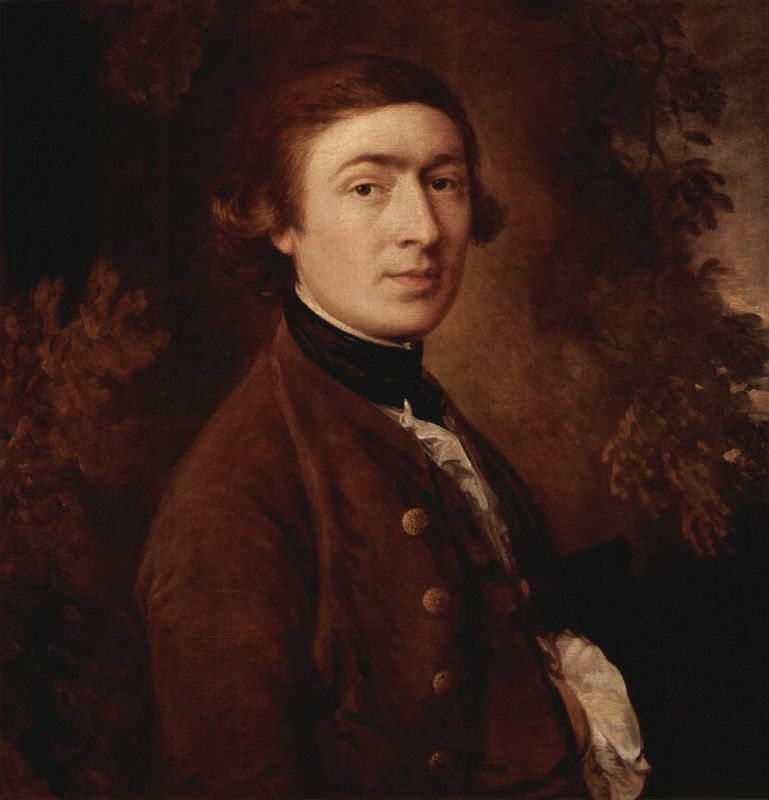 He is pictured as an average human being in this work, although his exquisite attire makes it clear that he is a gentleman of high esteem and status. This is also proven by his teardrop earring which was worn as a sign of being a gentleman during the 17th century. The King wanted to appear aristocratic but also show a more human side as he embraces the pastime of hunting. 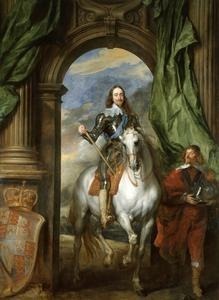 Charles I at the Hunt is one of van Dyck's masterpieces from his English period and was paid for by the King. Van Dyck drew great inspiration from the works of his former teacher, Rubens. 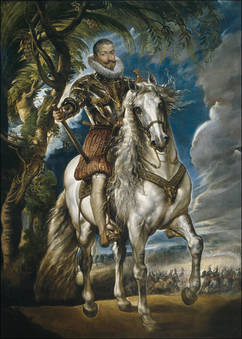 In turn, Rubens' equestrian portraits were greatly influenced by Titian. Yet, in Charles I at the Hunt van Dyck invents an innovative royal iconography that separates his work from other artists. This piece is not an official portrait of the King but a depiction of a gentleman and elegant courtier. Van Dyck captures Charles I having just dismounted his horse and taking a rest from his hunt. The right half of this image is dominated by dark shadow created by the tree. The shadow is set to the back of the image so that the picture sits on a horizontal plane from left to right. This technique creates depth and three-dimensionality in the image as Charles I becomes the focus in full light. All the foliage and objects on the second plane are in the shadow and are undefined as this technique allows the artist to create the idea of the King standing on higher ground. This is emphasized by the sprawling lands lying below. Charles' overall posture also points to the sprawling lands of England and beyond the river Thames. The overall color palette for this painting is dark and the artist only uses dashes of bold and bright colour to lighten certain areas of the canvas, namely those surrounding the King. The flesh tones in this piece vary but van Dyck uses a strong amount of reds for the flushed faces of the stable boys in the background. This was done only to accentuate the King's presence, as Charles' skin tone is light and has softly blended red hues to express his good health. The most striking colour in this canvas is van Dyck's bold use of red for the King's trousers which take on a velvety texture. Van Dyck paints the red thickly and lavishly to accentuate the fabric. He uses pure black to define the folds and shadows for the heavy material and also uses a yellow ochre to show the softness and the richness of the material. Red is used less lightly for the King's cloak being held in the hands of the stable boy. The cloak takes on a lighter red with yellow tones to define its folds and satin texture. Van Dyck uses many browns; soft brown pastels are used for the King's riding boots, sash and gloves and the same mix is used for the horse's mane. 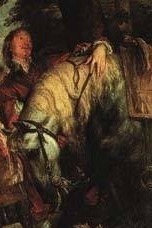 His signature van Dyck brown is used for the stable hand looking after the horse and standing in the shadow. The artist uses soft greys for the King's satin shirt and for the English grey skies in the background. The defining grey lines on the shirt are more prominent as it has stark white as its undercoating. The greys used for the sky do not have the smooth and fluid brush strokes that the shirt has. Blues and browns are also used in the skies to define movement and create an atmosphere of the brisk, English countryside. In Charles I at the Hunt van Dyck blends human figures, animals and a landscape background on one canvas. His ability to create the natural landscape helped create the atmosphere of the moment as the King looks upon his kingdom with ease but also a sense of authority. His subjects were placed at the front of the plane and were authoritative yet elegant and natural. One of many works created for the British aristocracy van Dyck was recognised for his talent, most notably by the King and his successful portrayals served as models for English portraiture for the next 150 years, influencing artists such as Joshua Reynolds and Thomas Gainsborough. Van Dyck revolutionised English taste and there is no doubt that he took English art in a new direction. 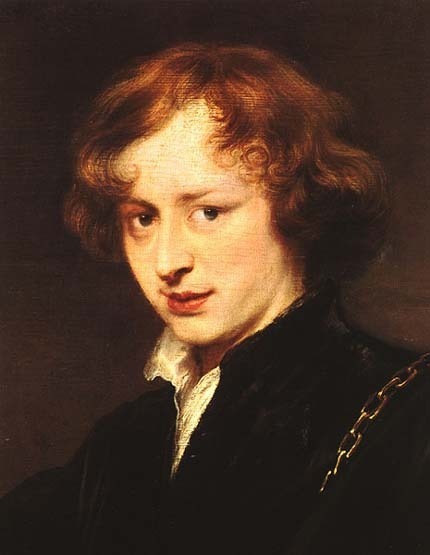 From the age of just 14 years old, Anthony van Dyck already showed promising talent in the portrayal of the human face. He was able to create the human aspect of the sitter and at the same time enlighten their deepest character traits through correct lighting and atmosphere. These form the crux of his works and went on to define van Dyck's artistic oeuvre. The artist began painting portraits of royal and aristocratic circles when he went to Italy and was introduced to many affluent patrons through his two friends, the de Wael brothers in Genoa. Van Dyck greatly impressed King Charles I of England and was asked to create numerous works on his behalf. An avid art fan Charles I offered van Dyck the post of England's principle court painter which saw his career go from strength to strength. The King and Queen rarely entertained other artists throughout van Dyck's time. 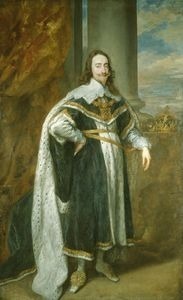 Works such as Charles I at the Hunt are the finest examples of the artist's relaxed elegance in portraiture painting and his style was copied by many great painters throughout the following two centuries. It is for works such as Charles I at the Hunt that Anthony van Dyck is most famous. Flemish Baroque painting developed out of the Southern Netherlands between about 1585 and 1700. There were several key artists leading this movement, including Peter Paul Rubens, Jacob Jordeans and Anthony van Dyck. Rubens trained van Dyck and many other artists and he exerted greatest influence on the development of Flemish art. Van Dyck, on the other hand, played a vital role in establishing new directions in English portraiture. Flemish Baroque painting centered on still-life, genre paintings of everyday scenes and landscape painting. Other developments in this genre were similar to those of Dutch Golden Age painting, in that artists specialized in areas such as history painting and portraiture, as was the case with Anthony van Dyck. To read more about van Dyck and his paintings please refer to the recommended reading list below.